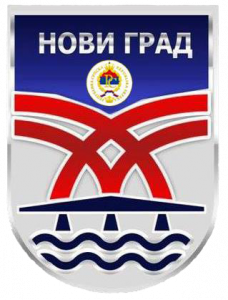 Local development Management Section represents the key entity responsible for development processes at Novi Grad municipality area, implementing development strategies, raising of donors funds and attracting of domestic and foreign investors. – Allows interactive and easier communication with potential investors through forums, surveys, and online services. · Municipalities and Cities in Republic of Srpska and Bosnia and Herzegovina. Mayor`s Office, in the field of local economic development, coordinates preparation and implementation of local development projects, prepares financial construction of local development projects, establishes contacts and constantly looks for new investments, follows and offers professional and technical support to already existing and potential investors, etc. The Department of Economy and Agriculture performs professional and administrative tasks relating to study and analytical tasks from economy (industry, trade and supply, catering, traffic and communications), agriculture, forestry and water management, support to development of institutions in charge of entrepreneurship advancement – handcraft, small and medium companies, development of handcraft and entrepreneurship activities, implementation of policies and development strategies, support to investment policy into local companies, creating conditions to bring foreign investors, defining and implementing agriculture measurements and structural policy in agriculture, implementation of measurements for supporting agriculture, advancement of competitiveness measurements in agriculture, economic-social revitalization of rural infrastructure, performs tasks from the field of integrated development of the City from the scope of work of the Department. Head of Section: Duško Damjanić. – Associate for breeding and selection.